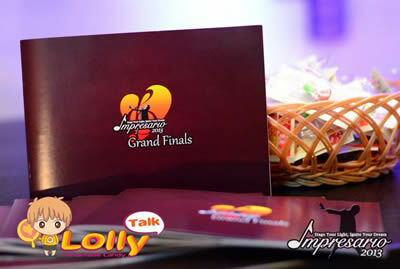 LollyTalk is proud to be involved in various events that changes life, touches heart and challenges limit!!! LollyTalk is proud to be part of you and your sweet life!!!! 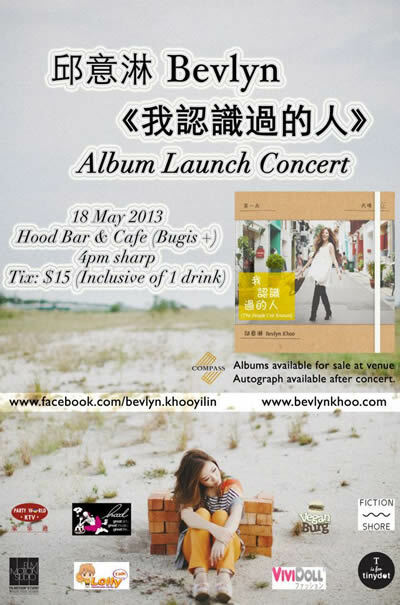 Checkout our Facebook Photo Albums for more photos of "LollyTalk Special Appearance"
'The People I've Known' Album Launch Concert!!! <That Girl In Pinafore> movie gala premiere!!! Huge customized lollypops handcrafted by LollyTalk are spotted with the director, casts and crew during the movie gala premiere! 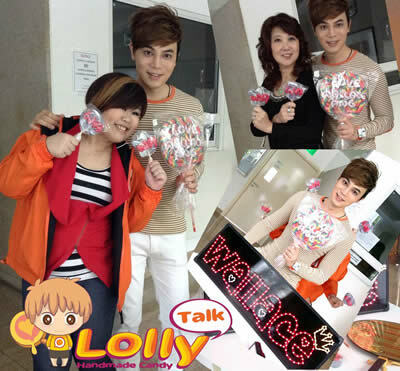 Wallace Ang and his Club WaWa fans spotted with several big lollypop custom made specially for his birthday celebration! 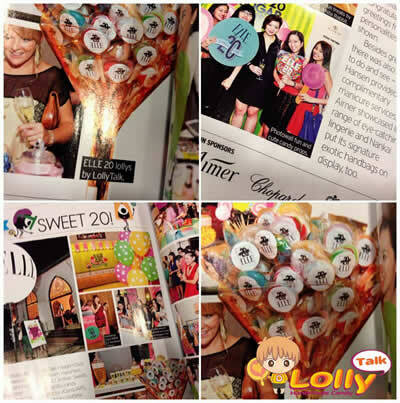 ELLE magazine chosen LollyTalk to customize their lolly as well as lollipop for their 20th Anniversary Celebration. X-PHYSIQUE 2013 having LollyTalk as the official handmade rock candy sponsor. License2Play 2013, Asia's Coolest Gaming Event, held at Marina Bay Sands Expo & Convention Center!!! 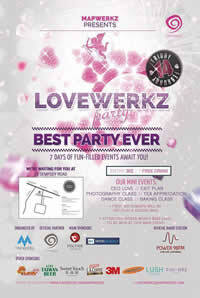 Lovewerkz is a Valentine's day event organized by Mapwerkz. An annual event worth lookout for!